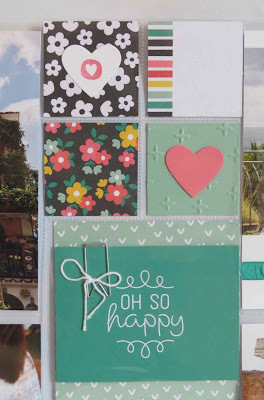 Karina's Kreations: Stampin'Up Celebrate Everyday Project Life Kit! Stampin'Up Celebrate Everyday Project Life Kit! Do you need to get your pictures off your phone and into an album? 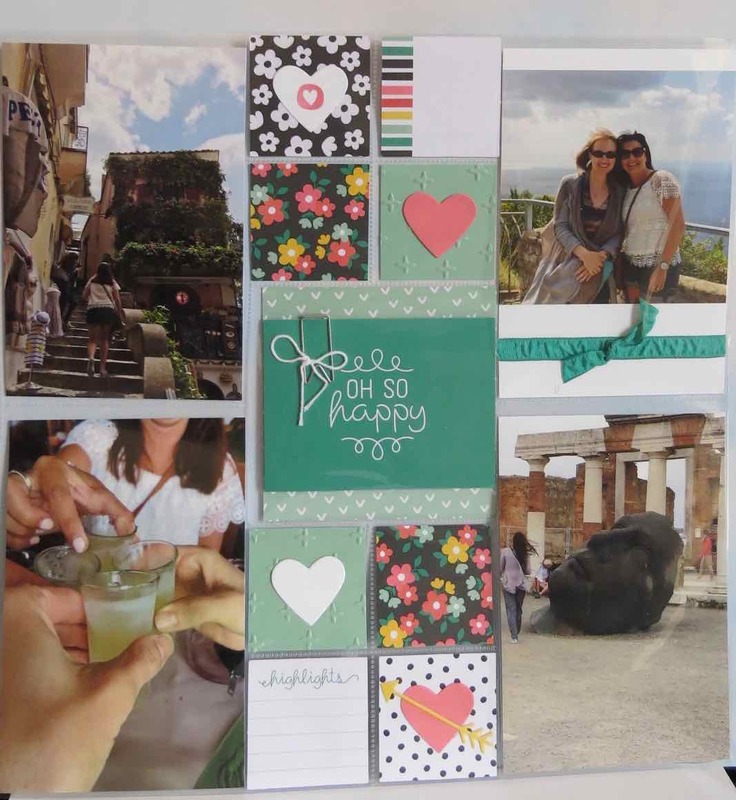 I challenge you to try Project Life memory keeping system by Stampin'Up. To help my customers, I run a monthly memory keeping class. Every month we complete 4 pages, the front and the back. This is one of the 4 pages we made last night. 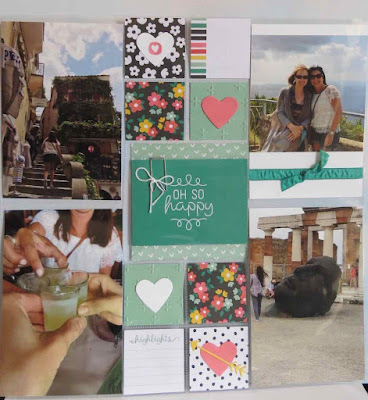 My class uses the Celebrate Everyday Project Life Card Collection #142030 and the Celebrate Everyday Project Life Accessory Pack #142696. I love the project life kits because they are fast and easy to put together. I also love that I can move the pictures around if I want to make any changes. I added a few items to this page. One of the squares is embossed with the sparkle embossing folder #141468. The hearts are cut with the sweet and sassy Framelits #141707 and the arrow with the Love Notes Framelit Dies #142752. If you're interested in this class please email me at kchin2@telus.net. Live out of town? I can prep a kit for you and pop it in the mail.